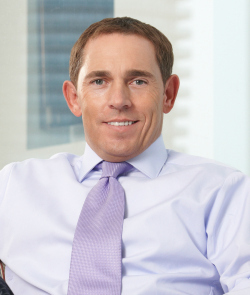 MISSISSAUGA, Ontario – David Ingram, chief executive officer of GoEasy has won the 2018 Glassdoor Employees Choice Award, which recognises the top 25 CEOs of companies with a significant presence in Canada. Glassdoor, one of the world’s largest job and recruiting sites, releases its Top CEOs report annually, highlighting the leaders employees love working for in countries throughout North America and parts of Europe. Among chief executives recognised by employees in Canada, David Ingram received an impressive 92% approval rating based on the anonymous and voluntary reviews GoEasy’s current and former employees shared on Glassdoor over the past year. Among the 770,000 companies reviewed on Glassdoor, the average CEO approval rating is 69%. Based here, the publicly held GoEasy is the parent company of Easyhome, this country’s largest furniture and appliance leasing merchant and Easyfinancial, a short-term consumer loan specialist.